The subject of French royalty and the fabulous palace built by the kings is covered in EGTs’ shiny new Versailles Gold video pokie, which has the potential to pay out some big prizes when the right symbols land across the reels, and there’s a special free spins game, the opportunity to gamble wins in a double or nothing side game, plus the chance of a progressive jackpot win. 10 fixed paylines and 5 reels are found here, with players able to stake from a low limit of 10 coins to a high of 200 per spin, although free Versailles Gold video pokies can be found as well. In common with most games from EGT, the symbols are designed with quite an artistic flair, and alongside the playing card icons, we have a royal coach, cardinal, Marie Antoinette and King Louie XIV sits at the top of the pile. The 4 levels of a progressive jackpot are displayed above the reels, ranging in value from the Club award through Diamond and Heart jackpots to the most valuable Spade prize, and once players have been awarded entry to this randomly-triggered round, they will be certain to collect one of them. 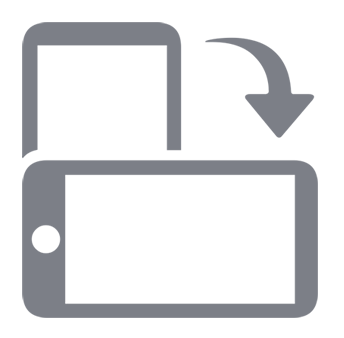 Players who review the pay table will see that landing matching symbols across payline in an unbroken sequence form the left side will create most winning combinations. The 10, J and Q symbols are worth 5, 25 or 100 coins when 3, 4 or 5 of a kind appear, while the K and A are each valued at 5, 40 or 150. The picture symbols only need to be on the first 2 reels to return a win, starting with the coach or the cardinal, both of which pay out between 5 and 750 coins. The queen famously said of the starving masses ‘’Let them eat cake’’, but she’s a bit more generous here, awarding players with 5 coins when landing on reels 1 and 2 and 2000 for filling a line. Louie XIV was known as The Sun King, but he looks a bit of a miserable guy in his picture, however landing this symbol across a payline should bring sunshine to players when they scoop prizes of up to 5000 coins. A golden royal crest is also a bright spot in this pokie, as not only will it pay out 20, 250 or 2500 coins when landing on 3, 4 or 5 reels, but it’s the wild symbol, able to act as all others to help complete winlines. Unusually, there’s no scatter symbol, as the wild is also the trigger for the main bonus feature here, triggering 12 free spins. Before these begin, a symbol is picked at random to become a special expanding symbol that will stretch to cover all 3 positions of any reel that it lands on. This has the effect of making it easier to get a winning combination from it, although players have no influence over which symbol is chosen. If the free games are retriggered by any 3 or more wild symbols, players get 12 more games using the same expanding symbol added on to the end of the current round. Wins of under 350 coins can be gambled, although it’s an option and despite it being a true 50/50 risk, getting it wrong loses the triggering win. To double its value, players will need to correctly decide of a playing card will be red or black, and if right, they can go on to try and multiply it again until the gamble limit is reached. As with all EGT casino pokie machines, a random Jackpot Cards feature takes the lucky players who enter it through to a second screen where they will see 12 face-down playing cards, and a click on each unveils the suit. Once 3 of the same suit have been found, the jackpot related to it is paid out. 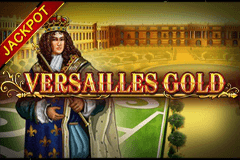 Although the subject matter, and even the features, are not unique in the world of online casino games, Versailles Gold manages to combine an attractive design with some decent gameplay. Any game based on historical events is bound to attract loyal followers, as it seems punters can’t get enough of them and the period before the French Revolution gives game developers plenty of scope to fill their pokies with colourful images and elaborate symbols. The free spins bonus round with the special expanding symbol is the clear highlight of this pokie, but there’s lots of chances to land some gold in the base game, especially when the royals look down favourably on their players.